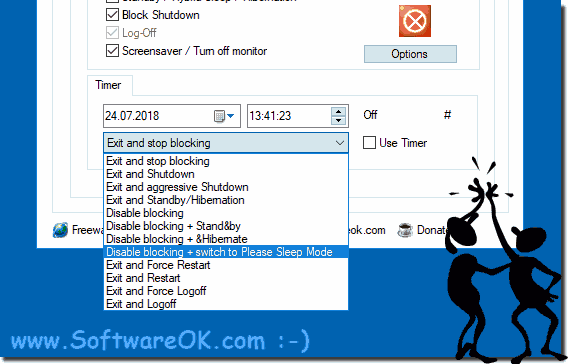 From Don't Sleep Version 2.99 is it possible to set the PCs are shut down at a specific time ergo implement autoshutdown option! When the time comes then the selected action ( ... see Image-1 Arrow-4 ) performed: ... see here! Please use always ► ... the latest version of : Don't Sleep! What happens when the timer expires! 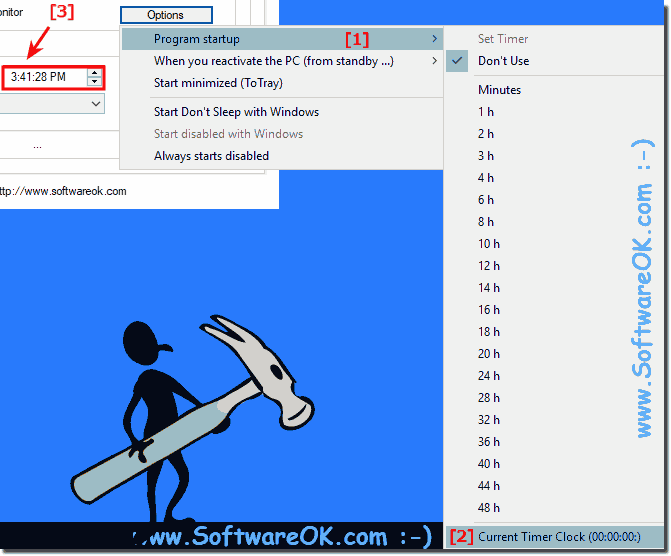 DontSleep - FAQ-3: Schedule computer to shut down at a certain time at program startup! The solution is simple to run directly minimized to tray without to see the main window Content: 1. Always start minimized in notification area 2. It is pretty easy to use start parameter e.g. program arguments in Dont Sleep for example to use for launch via batch file Content / Solution / Tip: 1.